The Genuine Ford Fiesta ClimAir®* Rear Bumper Protector in Grey comes in a Moulded grey finish that fits to the surface of your Ford Fiesta Rear Bumper. 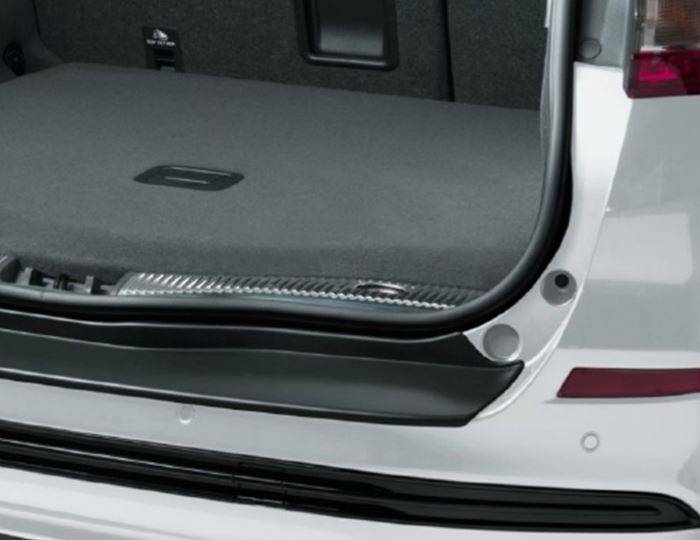 The Ford Fiesta Rear Bumper Protector is designed to help protect the surface of your rear bumper from that damage and scratches that can occur when loading and unloading into the boot space. Should you have any questions with regards to this or any other accessory for the New Ford Fiesta please contact us directly on 01509 750071 Monday-Friday 8am-5pm or by e-mail at orders@sandicliffe.co.uk. Vehicle compatibility information is provided as a guide only. This listing has been made as accurate as possible using the latest information provided by FORD. There may be on occasions more than one compatible part for your vehicle.